Coconut water. Acai berries. Juice cleanses. Healthy drink trends are everywhere these days with health nuts bouncing from fad to fad hoping to find a magical ingredient in their cups. One of the latest fads to entice the masses is kombucha, a fermented tea made of live bacteria and yeast and often referred to as “mushroom tea” (though there are no mushrooms in the tea). The drink boasts many health benefits: improving digestion and the immunity system, lowering cholesterol and combating cancer. Some avid drinkers even claim that it will grow hair long and strong. Despite these claims, only one study has been published about the drink’s health effects and it merely suggested that kombucha positively affected the object of study — the jury is still out. This tea, while only just recently becoming a fad, has been around for over 2,000 years. Its roots are found in China and from there it spread through Japan and Eastern Europe. Kombucha is created from “big mommas” or “mother” cultures of bacteria, which are first added to sweetened tea and then sit unrefrigerated for up to two weeks. 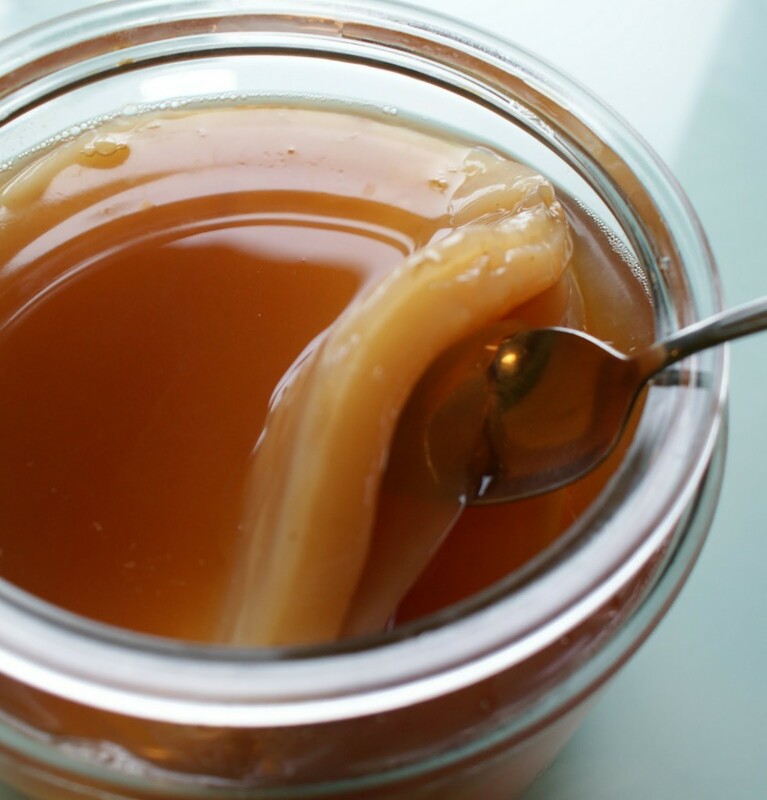 Then, “daughter” cultures are taken from the “mother” and create the floating pancake of SCOBY (symbiotic colony of bacteria and yeast) found on the top of the bottles of kombucha that one can buy. Many kombuchaholics even home brew their own tea, storing their “big mommas” in places like their garages. The taste can turn some people away — some call it refreshing, fizzy (yes, there’s some fizz!) and natural while others call it vinegar-y and reminiscent of compost. Not to mention that the floating bacteria certainly takes some getting used to. 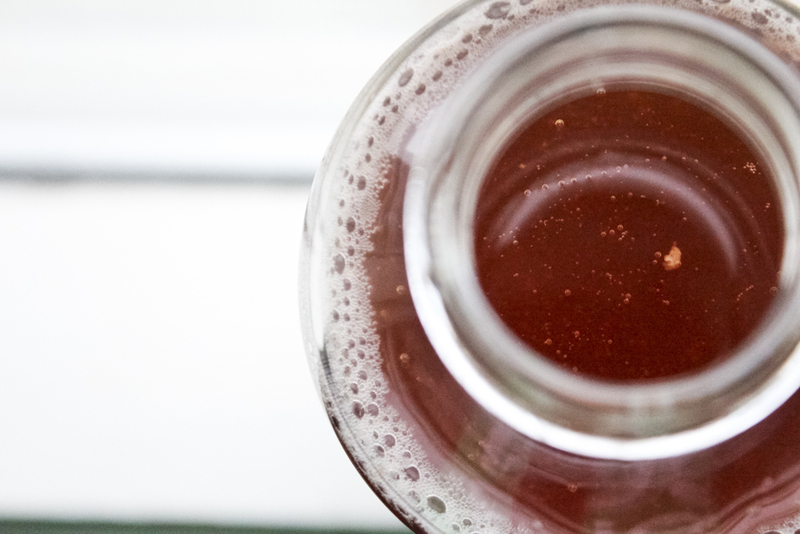 However, just like many people enjoy adding yogurt or kefir to their diet in order to supplement it with healthy bacteria, kombucha can also be a healthy addition if you’re looking to get a taste of some natural probiotics. Whole Foods sells a two varieties of the tea; one is called GT’s Organic Raw Kombucha (the real thing) and the other, Synergy (the juice variety of the tea). 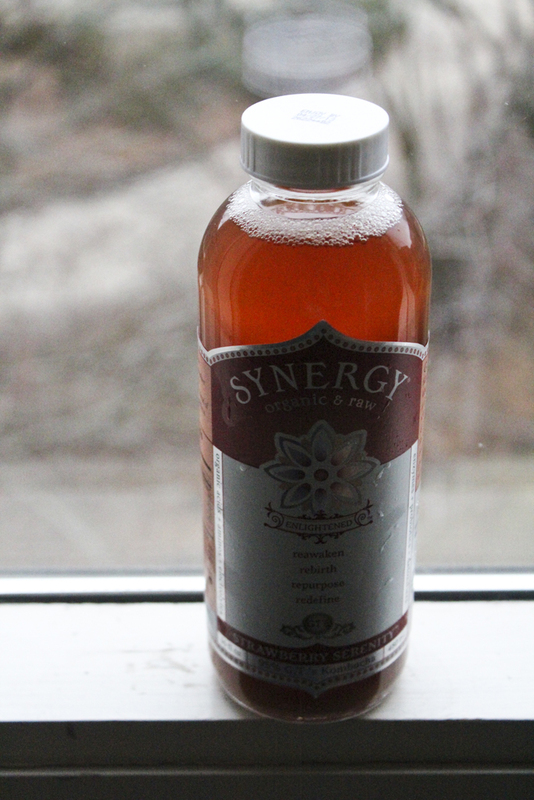 If you’re looking for an adventure in health food, kombucha is worth a try. The best part of eating is discovering what food you like, what food can do for you and what food surprises you. Kombucha might just meet all three!